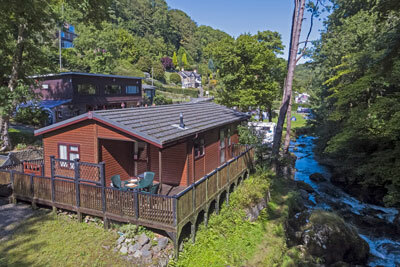 Riverside Camping & Self Catering Lodges in North Devon, Lynton and Lynmouth at Sunny Lyn Holiday Park. 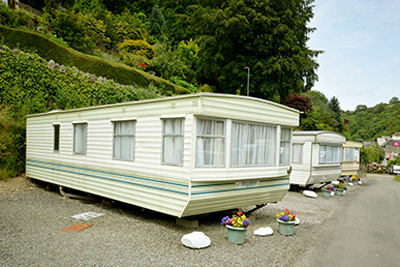 Sunny Lyn Holiday Park is situated in a beautiful wooded valley in Exmoor National Park with the West Lyn River running alongside, offering free fishing to all our guests. Our Park is located within walking distance of Lynton town centre and Lynmouth centre can be reached by the historic cliff railway. Lynton has stunning views across the Bristol Channel and Lynmouth is a picturesque harbour town. Both Lynton and Lynmouth have numerous shops, bars and restaurants. Sunny Lyn offers a variety of accommodation options from log cabins, apartments, static caravans, touring caravans/motorhomes pitches and camping. Our location is a walkers paradise with The South West Coast Path, Tarka Trail and Coleridge Way all converging in the towns. Dogs are welcome onto the Campsite and some of our self catering units are dog friendly too. Adjoining the site there is the wonderful Cottage Inn which is home to the Fat Belly Brewery & Nartnapa Thai Restaurant. On a Sunday, the Cottage Inn serve gorgeous traditional Sunday Roasts. There are some lovely coves within a couple of miles of the Park and some beautiful sandy beaches along the coastline. 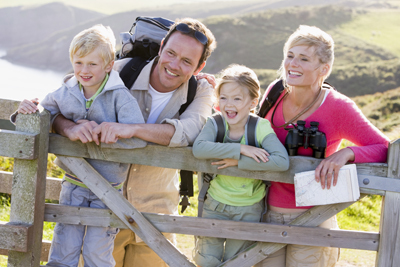 North Devon has loads of attractions from stunning landscapes, the Exmoor wildlife, National Trust Properties, surfing, kayaking and a variety of waterspouts, coasteering, horse riding, theme parks & zoo's, steam trains - the list is almost endless. 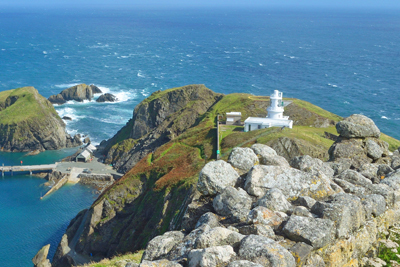 From the dramatic rugged coastline to river valleys and the woodland of Exmoor, this area cannot be missed. The South West Coast Path, Tarka Trail and Coleridge Way all converge in Lynmouth. 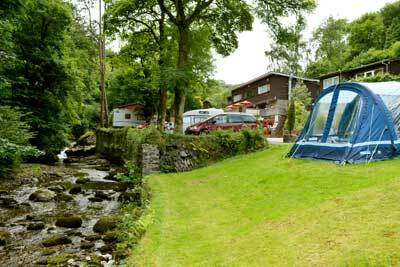 Sunny Lyn is the perfect place to relax whilst watching and listening to the West Lyn River flowing past the Park. You can even try your hand at fishing onsite.